Most Internet connections are not secure, yet we share private information on them every day. 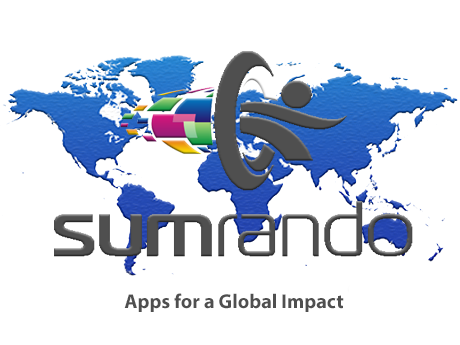 Protect yourself and your data with SumRando. Every day, everywhere, hackers, data brokers, and governments troll the Internet looking to steal and misuse private information from our online activities. It's time to protect ourselves and our data. SumRando's suite of online security products is the only complete solution that allows you to operate online, no matter where you are, with complete privacy and security. Surf securely and anonymously from absolutely everywhere, avoiding hackers, data brokers and censors. Temporarily Store Files Securely and Anonymously. A secure, real-time chat app that encrypts your messaging from your mobile device and desktop. No direct link to you: your phone and email are not required! No Other Service is as Complete, Private, And Secure. SumRando is located in Mauritius, where Internet privacy is taken seriously and logging of Internet activity isn't required. SumRando's Internet security suite protects your online activity and your day to day communication with SumRando VPN, SumRando Web Proxy, and SumRando Messenger. We own all of our hardware, and when it comes to your account information, we keep the bare minimum to provide the service to you. We use the latest encryption technologies to provide the security and privacy you need without compromising convenience. At SumRando, when we say anonymous and secure, we mean it. The world of online security changes daily. Stay in the know with news from SumRando.